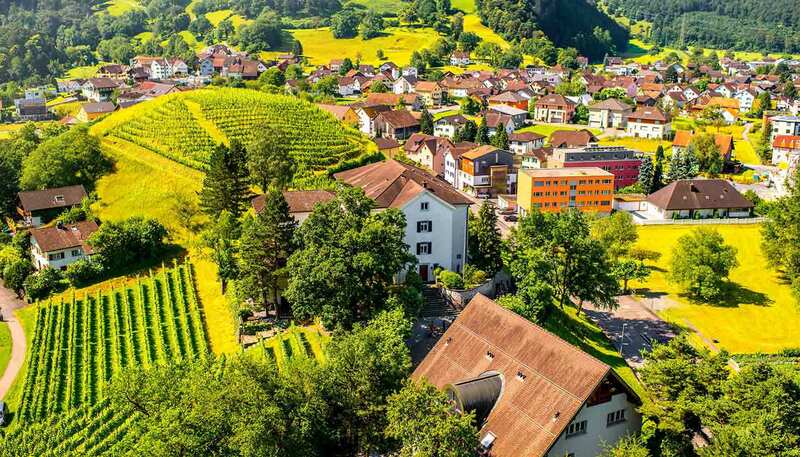 Although this area of Europe is believed to have been inhabited for more than 7,500 years, the history of Liechtenstein as we know it today only really began in 1719 AD. That's when Holy Roman Emperor Charles VI granted the new territory to Anton Florian of Liechtenstein, recognising it as a principality, and as a sovereign member state of the Holy Roman Empire. The Napoleonic Wars during the early 19th century, which led to the fall of the Holy Roman Empire, effectively granted Liechtenstein further sovereignty, and during this century the fledgling state gradually grew its industry, financial institutions and military, though the latter was quickly disbanded (and it still doesn't have its own military). Until the end of World War I, Liechtenstein was closely allied with the Austrian Empire, and later Austria-Hungary, but after the war it signed a customs and monetary union with its other neighbour, Switzerland. Following Switzerland's lead, it remained neutral during the Second World War; though there were sympathies with the Nazi cause and it became a repository for Nazi gold and valuables. Since the 1970s, Liechtenstein has utilised its low corporate tax rates to attract international companies to the country, and has become a tax haven for countless high-profile individuals and organisations. This has allowed this small country to become one of the wealthiest in the world, and its population enjoys one of the highest standards of living anywhere on Earth. Hans-Adam II, the current Prince is Liechtenstein, is the world's sixth wealthiest monarch, worth an estimated US$5 billion. And this is in a country with a population of just 35,000. • Liechtenstein is one of only two doubly-landlocked countries in the world (which means it is only surrounded by other landlocked countries). The other is Uzbekistan. • The total area of the country is just 46 sq m (120 sq km). • Grauspitz is the country's highest point, at 2,599m (8,527ft). The lowest is Ruggeller Riet at 430m (1,410m). It's still higher than anywhere in Holland. • Liechtenstein is the only German-speaking country not to border Germany. • The Prince is able to veto any legislation, except a referendum to become a republic. Similar to northwest Europe. The government is proposing a law on the protection of non-smokers with a smoking ban in publicly-accessible premises and in public administration buildings, this entails a smoking ban in restaurants in principle. German; a dialect of Alemannish is widely spoken. English is also widely spoken.